Please share with your social media, friends and family. 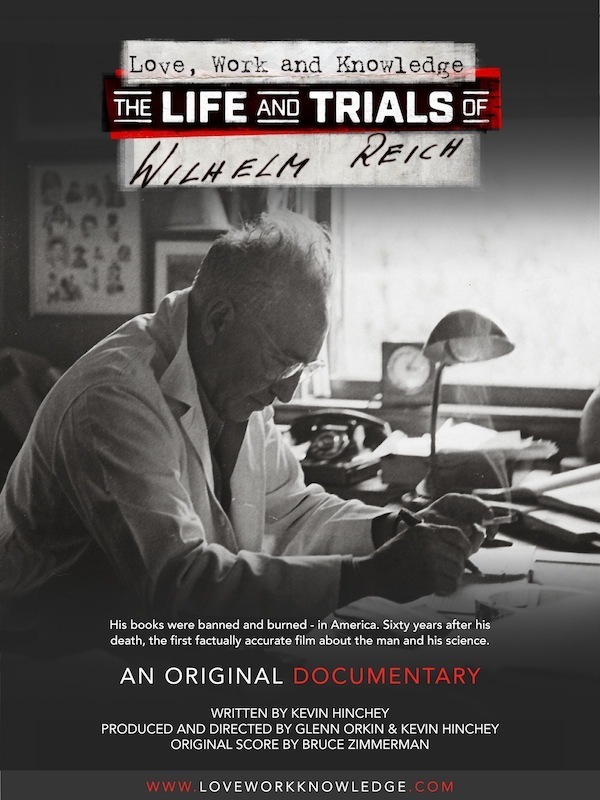 West Coast residents with an interest in this new documentary, will want to know that we just confirmed the film’s first California screening: this will take place at the Del Mar Theater in Santa Cruz on September 4th and 5th, at 6:00 p.m.
Four weeks from today, the California premiere of "LOVE, WORK AND KNOWLEDGE – THE LIFE AND TRIALS OF WILHELM REICH" will take place at the historic Del Mar Theater in Santa Cruz (September 4th & 5th at 6:00 p.m.). The Del Mar is a restored and renowned cinema that is now part of the Landmark Theater chain which currently operates 52 theaters, with a total of 252 screens, in 27 markets. A good turn-out for these screenings in Santa Cruz could pave the way for future screenings of this film at other Landmark theaters in other towns and cities. Which means that more people will have an opportunity to see this film the way it was meant to be seen: ON THE BIG SCREEN where all of its visual, audio and musical components can be fully experienced and appreciated. So come to the Del Mar in Santa Cruz if you can, on September 4th or 5th! And if you can’t be there, please help us spread the word to family, friends and organizations on the West Coast. More details will be forthcoming in the next few weeks. I realize that Santa Cruz isn’t a convenient venue for all of you, but hopefully some of you will be able to attend. And I hope that you’ll please spread the word to anyone you think would be interested in seeing this film. Thank you. This entry was posted on August 11, 2018 at 1:13 AM and is filed under Uncategorized. You can follow any responses to this entry through the RSS 2.0 feed. You can leave a response, or trackback from your own site.